The University Hospital Dresden with its 20 clinics, four institutes and ten interdisciplinary centers is the city’s largest hospital and the only hospital of maximal care in East Saxony. Each year, 67,900 patients receive state-of-the-art medical treatment. With 1,300 in-patient beds and 95 out-patient facilities we offer the whole range of medical service to highest quality standards. Our staff of 700 doctors and 1600 nurses is committed to excellent service and care. The overall aim of our employees is to understand the needs of every single patient committed to our hospital. We encourage our employees to constant learning and further education. With our close bonds to the University of Technology Dresden, we are able to create an optimal atmosphere of research, learning and teaching. Furthermore we have a busy exchange of ideas and thoughts between partners such as the Max-Planck-Institute and the BIOTEC-BioInnovationCenter. Within our hospital we created centers of competence for the treatment of cancer, vascular disease and many more to meet the requirements of an interdisciplinary approach. The beginning of medical education in Dresden dates back until the mid of the 18th century. 1748 the Collegium Medico Chirurgicum was established to communicate basic medical knowledge to military surgeons. In 1815 King Friedrich August I. endowed the Surgical-Medical Academy, where Carl Gustav Carus (1789-1869) taught as a professor for obstetrics. It existed until 1864. On 2nd of December 1901 the Town Hospital Dresden-Johannstadt was established with the departments of surgery, internal medicine and ophthalmology. The new construction became necessary, because the number of inhabitants had doubled from 1875 until the turn of the millennium. In 1903, the new buildings for the Royal Women’s Clinic at today’s Pfotenhauerstraße / Fetscherstraße were added. In the 20s and 30s, such outstanding medicals worked at this hospital as Erich Saupe, the director of the X-Ray Therapeutic Institute or the internist Otto Rostoski, who created Europe’s first acute diabetes ward in 1924. 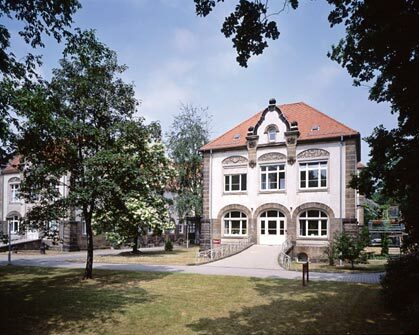 The world’s first nursery, founded 1898 in Dresden by Arthur Schloßmann moved into the new children clinic by 1930. One of the main founders of the academy was the surgeon Albert Bernhard Fromme, who became first rector. During the air raids of 13th and 14th of February 1945, parts of the hospital were heavily destroyed. The bigger part of the buildings, which were erected 1901 after plans of the town’s councillor for construction Edmund Bräter in pavilion style, became rebuilt. The pavilion style describes the arrangement of buildings in U-shape around central parkways. Today the campus with its pavilion buildings is under preservation order. On 7th of September 1954 the Medical Academy within the Johannstadt Hospital opened its gates. By mid of September, the first students enrolled already. From 1954 until 1993 over 6,000 physicians and dentists received their clinical education. The academy grew up to one of the leading medical schools in the GDR. 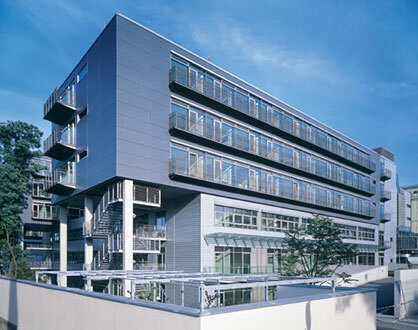 On 1st of October the Medical Academy became integrated as a Faculty of Medicine into the University of Technology Dresden. The hospital is run as a public corporation by the Free State of Saxony.